They say everyone has a book inside them but the dream of becoming a best selling author has, for most people, remained a dream. Until now. Now anyone can create, publish and sell their own ebook. All you need is an idea and a copy of iBooks Author. Your Readers and Customers Expect More! So you have your idea, you have your copy of iBooks Author and your have your Mac computer. What now? The world has changed. People’s expectations have changed. No longer is it acceptable to create a text-and-pictures based PDF and call it a book. Today’s customers expect much more. iBooks Author has led that expectation change, giving you the ability to create books that include not only text and images but also video, audio, links to external Web resources, widgets for interactive 3-D models, self-assessment quizzes, and much, much more. Sounds fantastic so far. But with ease-of-use and the fact that publishing an eBook is now within anyone’s reach, more than ever, YOUR eBook needs to stand out in what will most certainly become a crowded marketplace. That’s where iBooksAuthorTraining comes in. Let Me Help YOU Get Published Today! 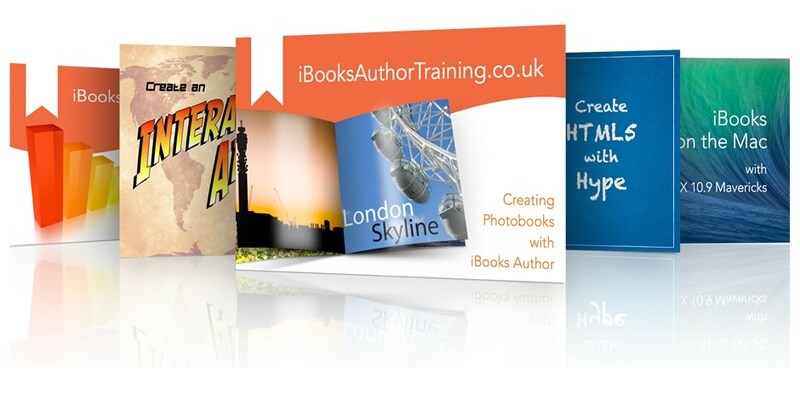 My unique training programme will help you to turn your publishing dreams and ideas into reality. Not only will I teach you the basics of iBooks Author, I’ll also cover a whole range of tips & tricks that most people never even knew existed. The training consists of 9 video recordings from 9 live online training sessions that covered virtually every facet of iBooks Author. 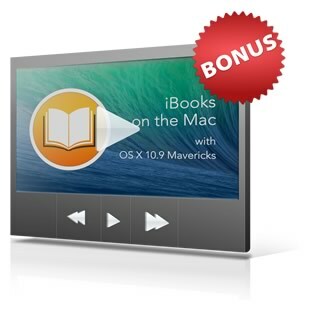 Each training session was over an hour in duration and you get the entire training session – that’s almost ELEVEN HOURS of quality tuition on iBooks Author! Plus, if you choose the Gold or Platinum Subscription Plan (see below for more about the different Subscription Plans), you’ll get a further 2.5 hours of video in the form of the recordings of the Q&A sessions that followed each training session. 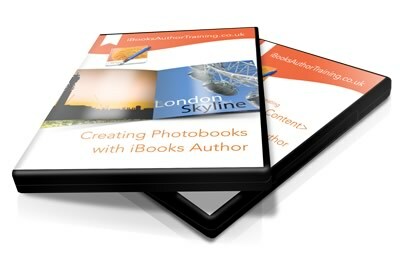 This first video of the series gives a complete overview of the process of creating an interactive book using iBooks Author. The book used as a case study during the webinar, which is almost 100 pages, is available as a free download. 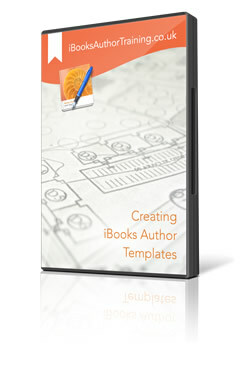 This video addressed how to customize the included templates and build your own templates from scratch using iBooks Author. 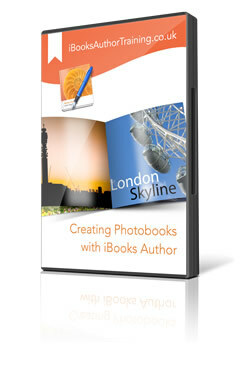 The Creating Photobooks in iBooks Author webinar demonstrated features useful in the creation of Photobooks with iBooks Author. Keynote is capable of much more than creating standard click to run presentations. 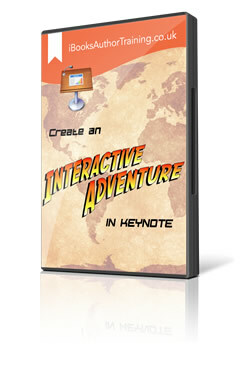 In Create an Interactive Adventure in Keynote I demonstrate how to create interactive presentations that can be incorporated in to any iBook you create. The demonstration included how to create iBooks Author Zoo a fully immersive and embeddable presentation and followed this by creating a 3D Timeline in Keynote. One of the most flexible widget types in iBooks Author is the HTML5 widget. 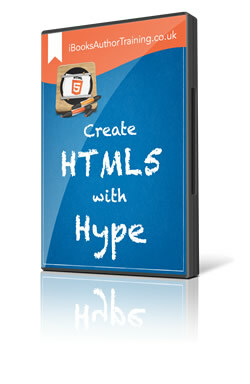 Hype is an independent application that allows you to easily create HTML5 content and exports that HTML5 as preformatted iBooks Author widgets. iBooks Author is perfect for presenting complex data in a range of easy to comprehend formats. 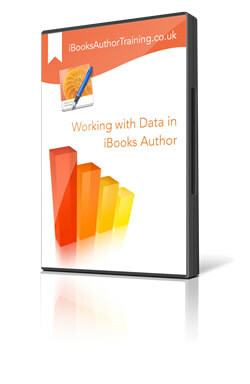 In Working with Data in iBooks Author I demonstrate how to create stunning tables, charts, graphs and timelines that can be incorporated in to any iBook you create. 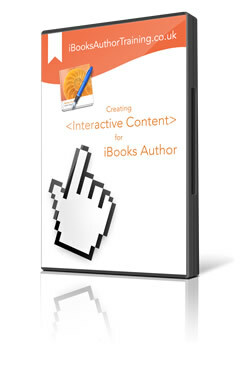 This video covers how to create interactive elements that can be incorporated in to any iBook you create. The range of content covered is extensive, as demonstrated by the list of areas covered. 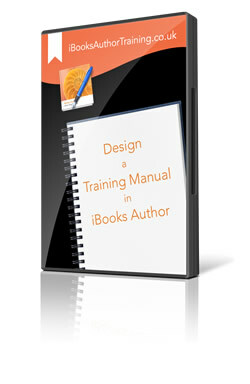 Design a Training Manual in iBooks Author covers the key features of iBooks Author that facilitate the creation of the next generation of training materials. Mobile learning has became an integral part of any contemporary learning programme. This raises the question of how immersive, engaging and informative content can be created for mobile in a timely way, preferably leveraging existing skills. 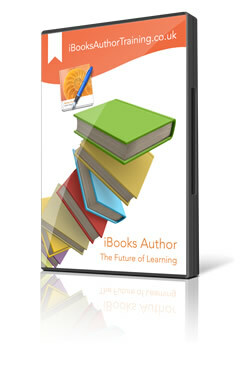 This webinar addresses how an iBook can be used effectively in training and education as well as providing an overview of the creation process. If you are the type of person who “learns by doing”, who needs to talk to a real person as you learn or who has specific iBooks Author-related requirements or questions, the Platinum Plan is for you! The Platinum Plan comes with 3 HOURS of 1:1 live training with me. The training will be delivered via the Internet (using Skype or a similar technology) so you won’t have to spend any time or money on travel. You won’t have to share your training session with anyone else who may be faster/slower than you, and you’ll get 100% of my attention for the duration of the session. You have one full year from the time you purchase (or upgrade to) the Platinum Plan to complete the 3 hours of 1:1 training, so there’s absolutely no rush at all. You can take your time, and “do-as-you-learn”, and even create your eBook as we do the calls. You don’t even have to take your training all at once, for example you could schedule 3 x 1 hour sessions at 1 hour per week or any other interval that suits you. Is the video compatible with mobile devices? The web-based video player is compatible with Windows, Mac, iOS (iPad, iPhone, iPod Touch), Android devices and Windows mobile devices. Can I Download the Training for Offline Viewing? Are the downloadable videos compatible with mobile devices? Can I upgrade to a different plan at any time? Absolutely – you simply pay the difference between your current plan and the plan you wish to upgrade to! Do I have to pay monthly or annually? You pay a ONE-OFF fee, you have lifetime access to the streaming videos. If you purchase (or upgrade to) the Gold or Platinum Plans, you can download the videos as many times as you like, whenever you like – again lifetime access! I'm so confident of the quality of the training delivery and the amount of content that I've included for the price that I'm offering an unconditional, NO-question-asked 30-day money back guarantee. If for whatever reason my training programme does not satisfy you in any way, simply contact me within 30 days from your purchase and I'll refund you right away!